Crouched Rabbit of Granite. Found in a Kyoto Garden, Japan, Circa 1850. The 2017 San Francisco Tribal & Textile Art Show opens at Fort Mason Center on February 9 with a wondrous assortment of art from a variety of indigenous sources. 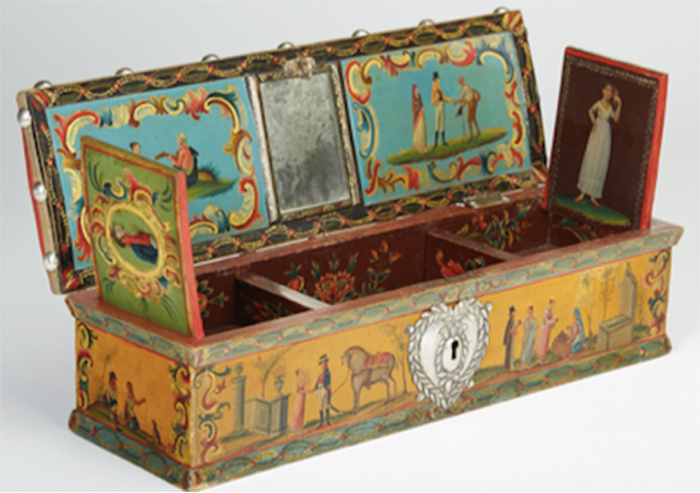 First appearing in the Americas in the early 17th century after their introduction from Japan and China, the folding screens of New Spain, or biombos, would come to embellish the homes and palaces of the elite. 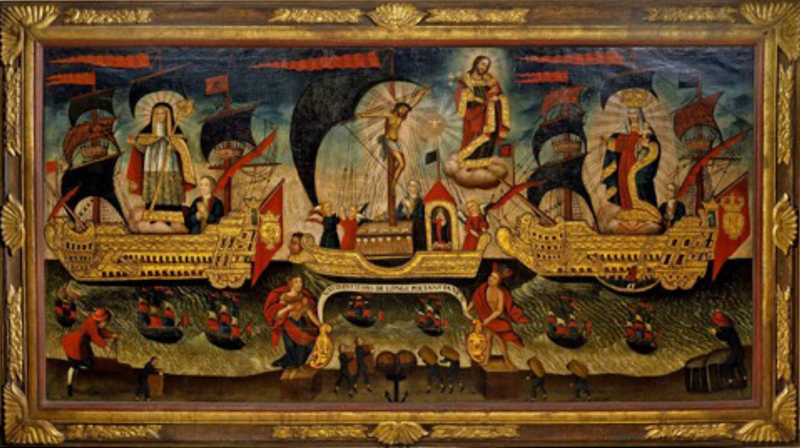 In their various permutations, they reflect the changing tastes and fashions of a world increasingly connected through global economic exchange and the politics of the colonial period. 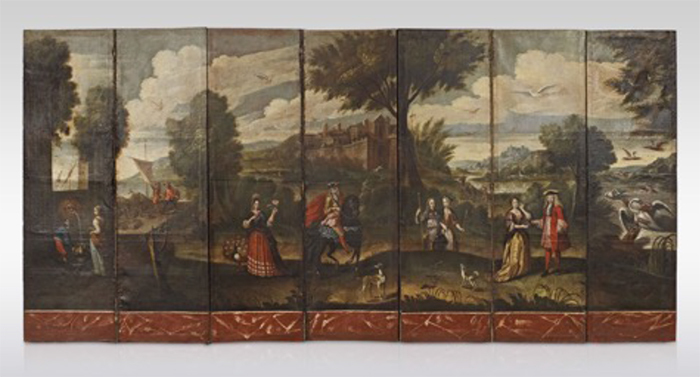 The present screen depicts various couples set in the lush grounds of a castle with a hunting scene in the background. In the centre, a woman stands close to a peacock, perhaps symbolizing marriage, who holds a rose in her hands and turns towards a gentleman on a horse. To their right, another couple are dressed as pilgrims of the Camino de Santiago de Compostela as evident by the scallop shells stitched on their clothes, possibly as a memoir of their pilgrimage to the Galician city. 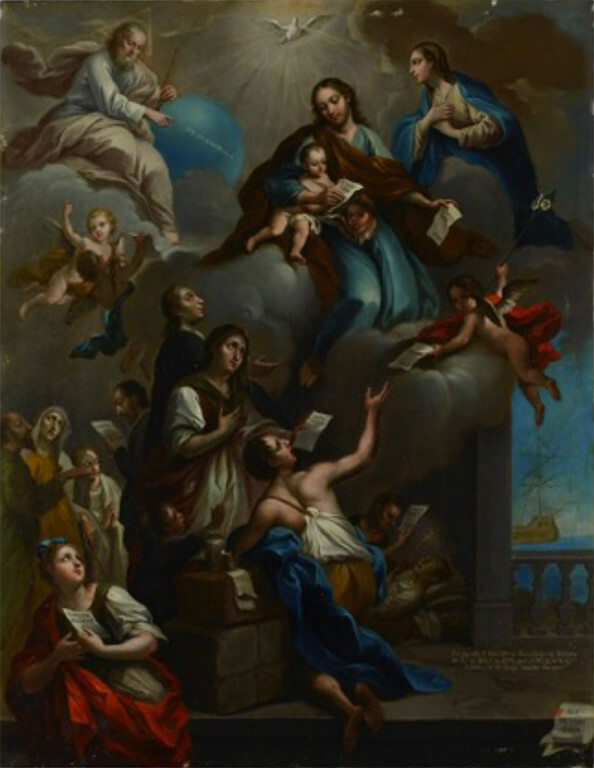 A similar biombo, depicting a scene of early 18th century daily life in Colonial Mexico is at the Denver Art Museum. 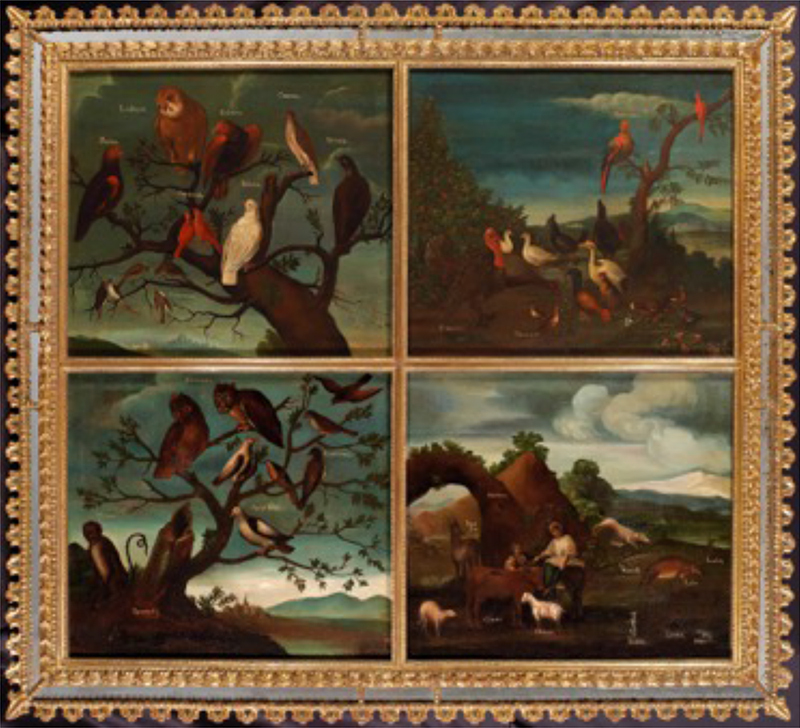 Provenance: From the Collection of Duque de Sessa’s family Gavito y Jauregui, Barcelona in 18th century. 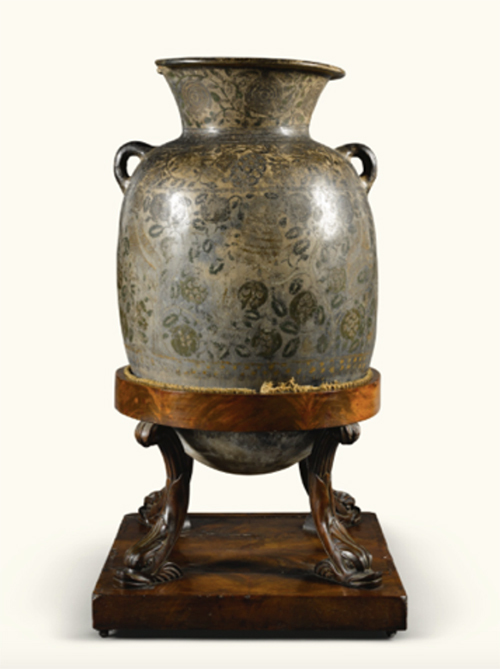 Of amphora form with a rounded base and flaring neck. 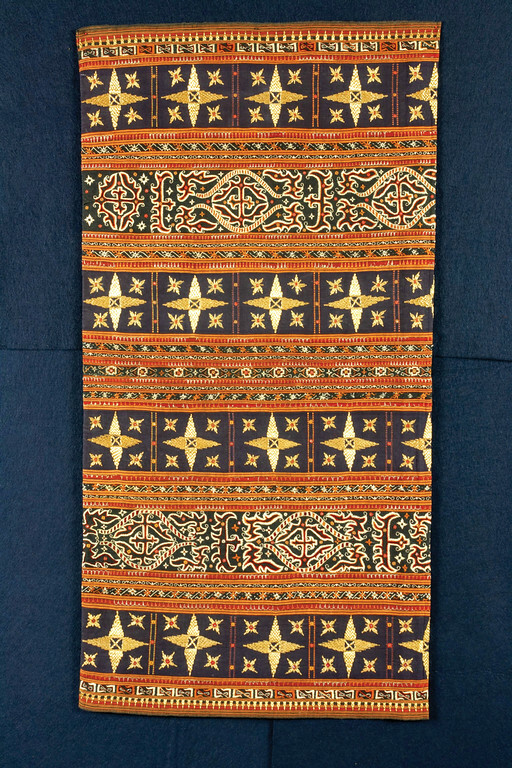 This extremely rare 19th century double-red ship textile is from Lampung, in south Sumatra and will be part of the exhibit. 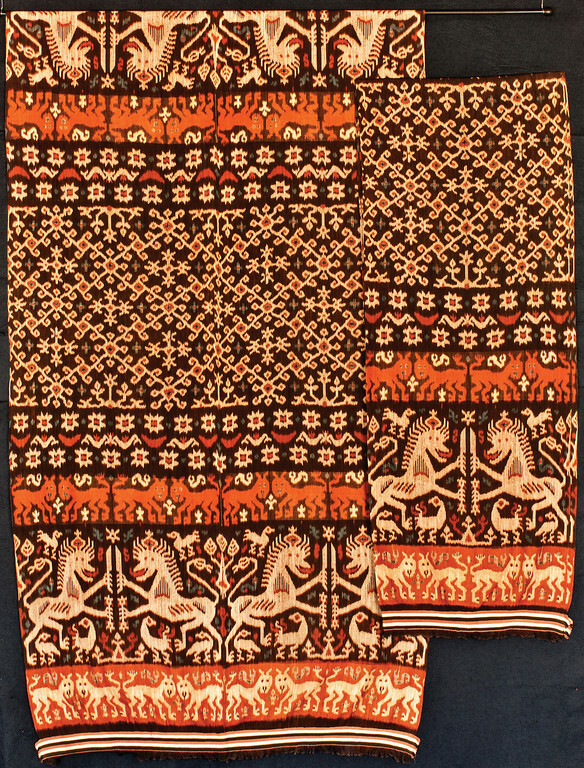 This area produced the spectacular so-called “ship cloths”, arguably the most famous textiles to come out of Indonesia. 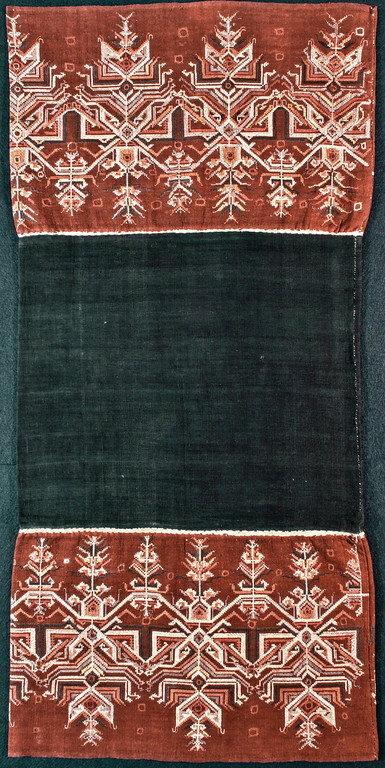 Ship cloths were thought to ease the transition from one stage of life to another. 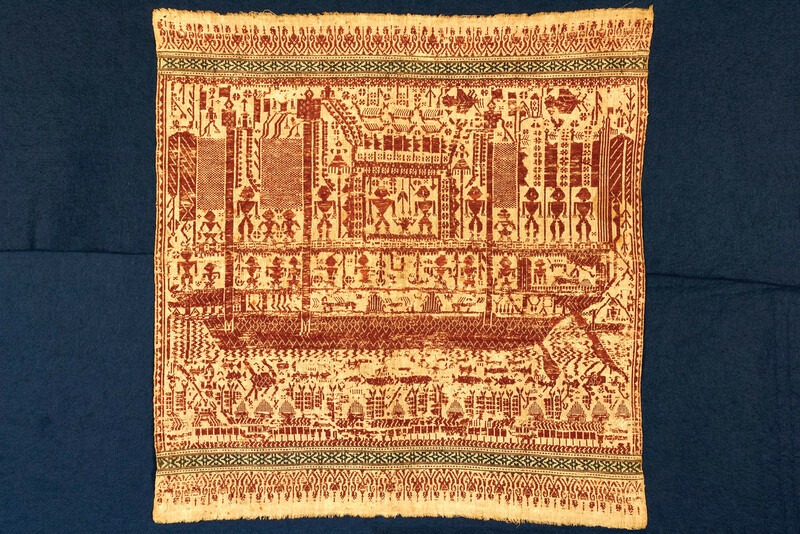 The long ship cloths, called palepai, were made and used only by the aristocracy. These were used as ceremonial banners to mark the position of the most important people in the ceremony. Strict sanctions prevented any but the aristocracy from making, possessing, or using palepai. 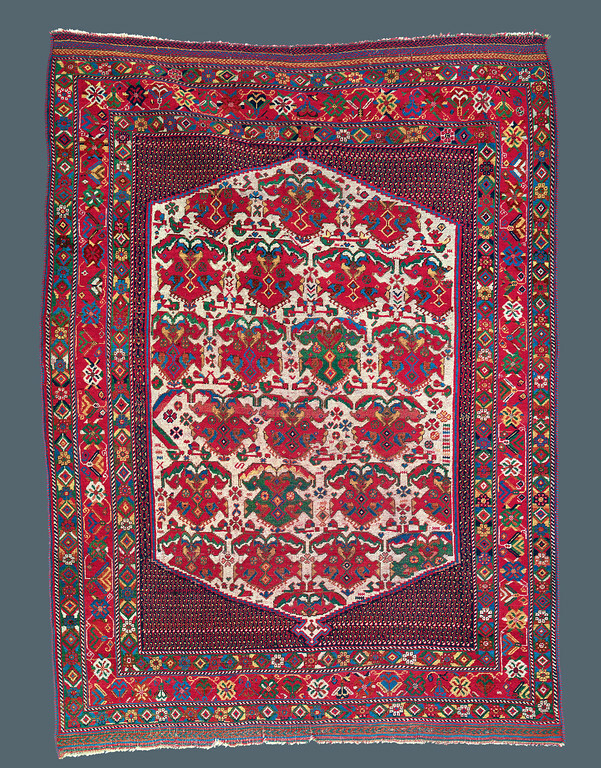 During the 19th century, the central medallion format, complete with complimentary corner pieces, was generally a design of large, formal workshop carpets. The nomadic weaver of this Afshar rug was inspired by the classic layout, but transformed it with her native, vibrantly colorful aesthetic. She dispensed with the classical formality, and instead focused on the purity of naturally derived color and added charmingly drawn animals to roam the indigo field. 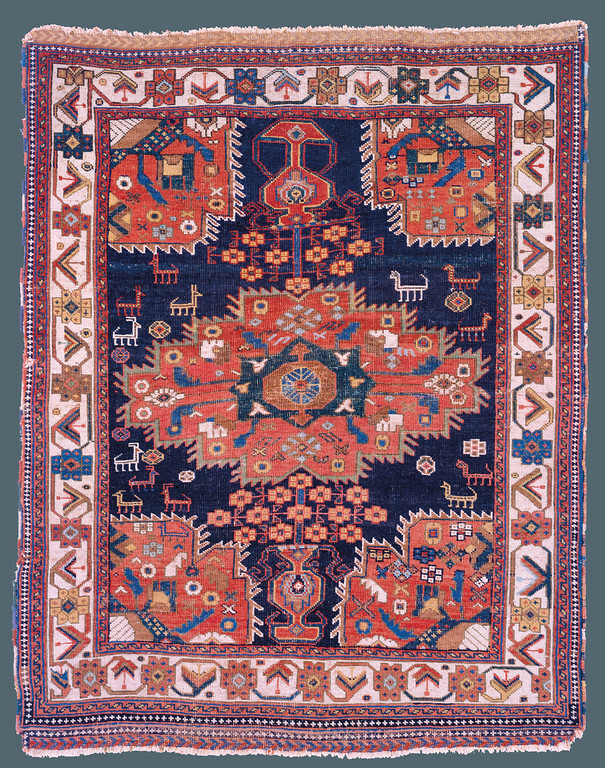 This rug exemplifies the true spirit of Afshar weaving. This entry was posted in Art, Beauty, San Francisco and tagged Art, Culture, design, History, San Francisco. Bookmark the permalink.